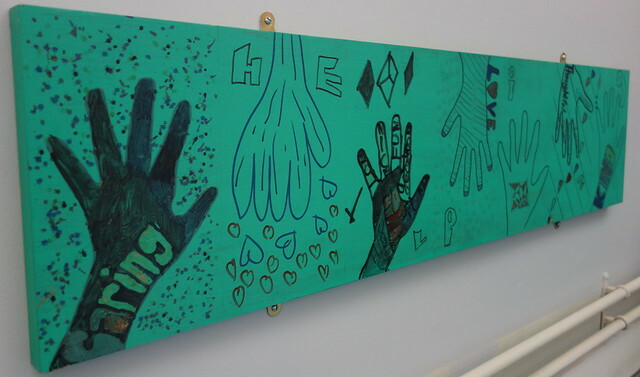 ARTWORK created by children in care has been put on display at Reading Museum. 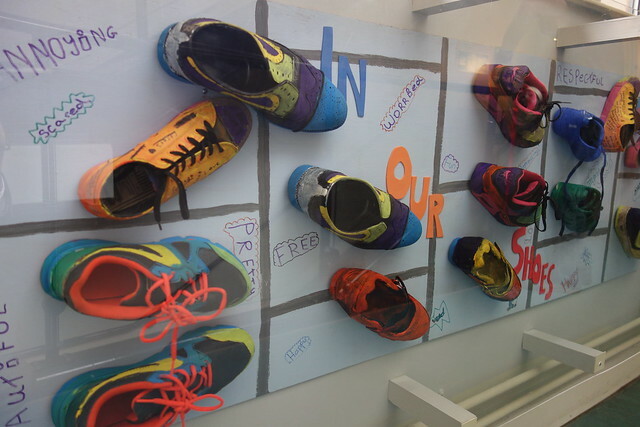 A group of young people who live away from their natural parents have given an insight into their lives through the pieces of art called ‘In our Shoes’ and ‘Helping Hands’. The children and young people, who are part of the Children in Care Council, meet regularly every month to take part in activities together and the pieces of art were created during these sessions. Reading Mayor Cllr Deborah Edwards visited the display at Reading Museum on Wednesday 30th May and met some of the children who had created the artwork. “Living away from your parents can be a big change and difficult time for children. Things don’t always go smoothly but most children appreciate having someone to care for them. “Children recognise their foster carer as someone who is there to keep them safe and look after them and they often form great relationships. “Art is a great way for individuals to explore their emotions and to give others an insight into how they are feeling.